Calling it 'Crush Chromebooks Edition' would make more sense. Epic Games CEO Tim Sweeney makes no secret of his distrust of Microsoft in this brave new era of Windows 10. In early March 2016, he said the Windows Store was meant to lock down the consumer PC ecosystem and monopolize PC software. In July, Sweeney took that view even further saying that Microsoft would surreptitiously introduce bugs targeting Valve’s Steam platform, and just wait for users to turn to the Windows Store as an alternative. Now Sweeney has a new target: the recently uncovered Windows Cloud. 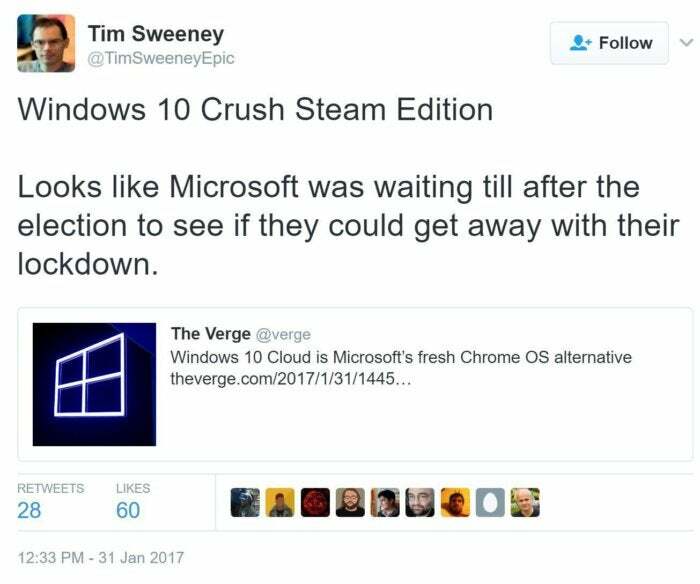 As Sweeney sees it, Microsoft’s plan with Windows Cloud is to “crush Steam.” At least that’s what he said on Twitter recently. Microsoft has yet to discuss Windows Cloud, but ZDNet’s Mary Jo Foley reports that this version of Windows will be designed to only run Windows Store apps. Much like the original (and now-dead) Windows RT variant of Windows 8, traditional Win32 desktop programs are out. Given Sweeney’s previous arguments you can see why a Windows Store-only version of Windows would get him fired up. We’re only basing this off a tweet and not a fully fleshed out argument. That said, it’s fair to assume this is an extension of Sweeney’s previous concerns—which means he’s probably wrong. There are a number of reasons why Microsoft might want to create a stripped-down, dead simple Windows Cloud OS. The most likely reason is to take on Google's Chromebooks, especially in the education and enterprise markets where Chrome OS has a strong foothold thanks to affordable pricing, straightforward design, and low IT maintenance needs. Microsoft actively rolled out new initiatives to counter Chromebooks just last week. 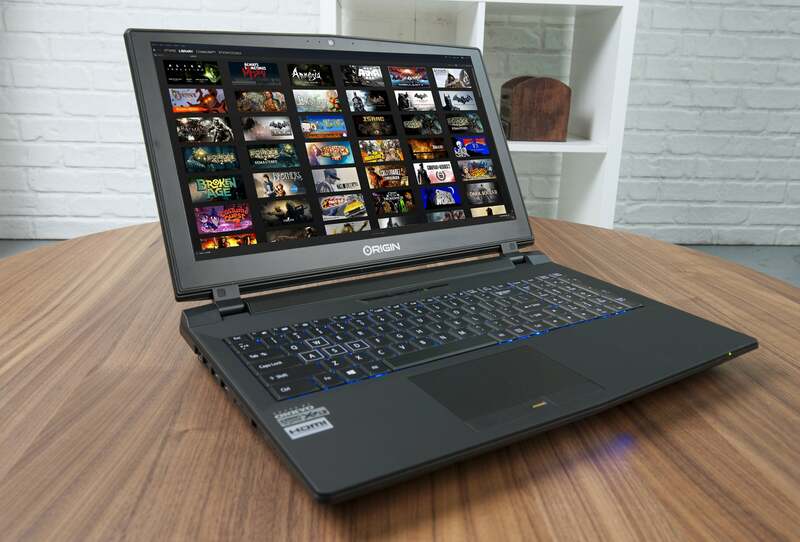 If that’s the case then Windows Cloud laptops won’t be capable of running PC games. The appeal of Chromebooks is that they run a simplified OS on low-powered hardware. Halo: Spartan Assault? Yes. Gears of Wars 4 or Resident Evil 7? No. Tim Sweeney thinks Microsoft is trying to put the screws to Steam, but Chromebooks are the real target. 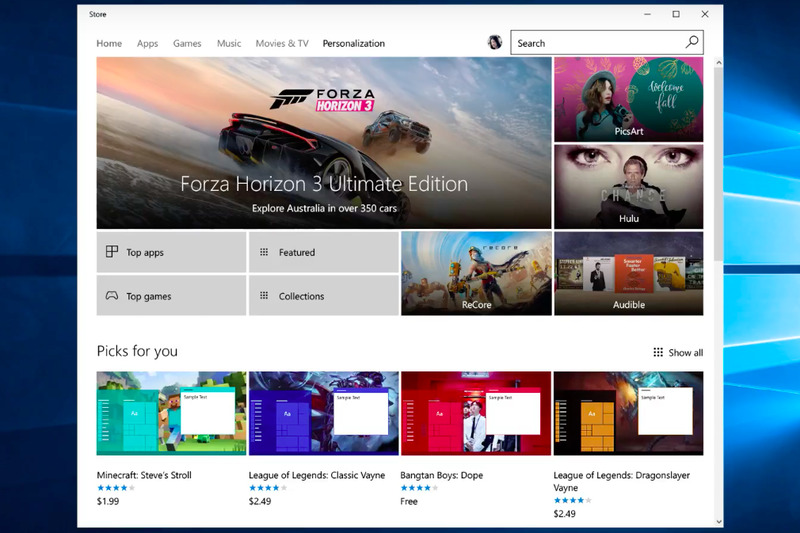 Microsoft clearly wants Windows Store apps (also known as Universal Windows Platform apps) to be the future of its PC platform, so Sweeney's right that there is some concern that Microsoft could one day wield more power than it already does over the PC software ecosystem. We’ve already seen some evidence of Microsoft being overbearing with Windows Store marketing, as Paul Thurrott previously discussed. But universal Windows platform apps are nowhere near as robust as Win32 apps yet, which means we’re talking about a potential situation that’s still a few years out—if it happens at all. Microsoft also currently allows sideloading of UWP apps, which means Valve could create a UWP-based Steam in the future if it had to. And yes, turning on the ability to sideload apps is a power user move, but PC gamers are nothing if not power users. 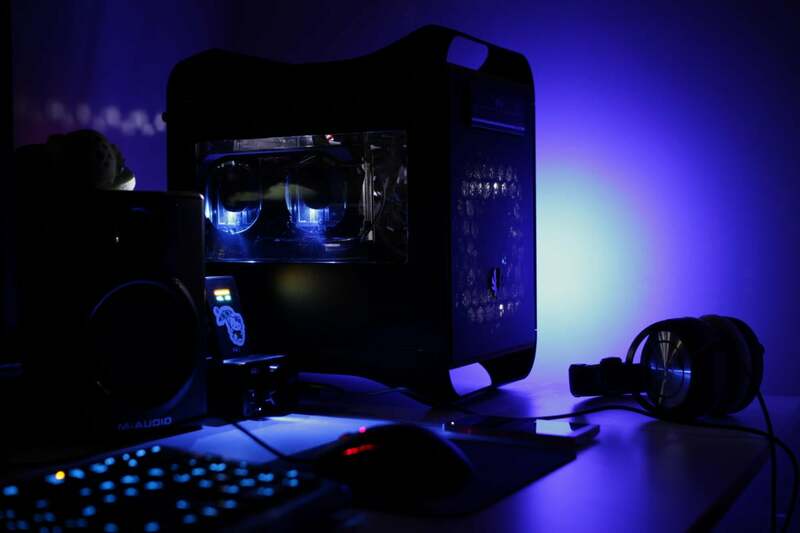 Is Sweeney’s imagined future of a Microsoft-dominated future for PC gaming possible? Sure. Is it likely? I’m still not buying it.